This was a fun cake to do. A HUGE tooth for the groom who is a dentist. The cake started out as a double layer chocolate cake then I carved it into a tooth shape. 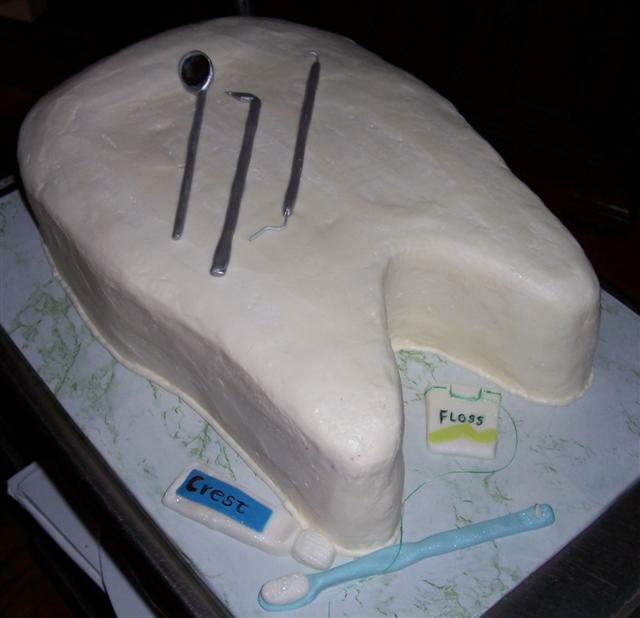 The tools and other items were made from fondant.